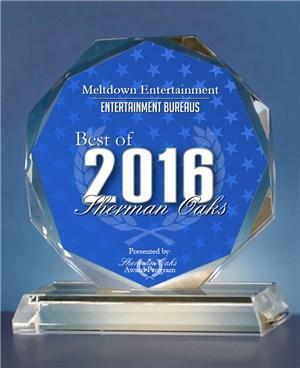 Meltdown Entertainment Receives 2016 Best of Sherman Oaks Entertainment Award! "Each year, the Sherman Oaks Award Program identifies companies that we believe have achieved exceptional marketing success in their local community and business category. These are local companies that enhance the positive image of small business through service to their customers and our community. These exceptional companies help make the Sherman Oaks area a great place to live, work and play. Various sources of information were gathered and analyzed to choose the winners in each category. The 2016 Sherman Oaks Award Program focuses on quality, not quantity. Winners are determined based on the information gathered both internally by the Sherman Oaks Award Program and data provided by third parties..."
Meltdown Entertainment is a forward-focused video, film and special event production company concentrating on the development of powerful and creative film and video productions throughout the world. We offer high quality attention-getting results that are designed to meet and achieve the specific goals and target markets of each individual client. Whether on-location or in the studio, our highly skilled and professional team will guide you through the development process from concept to reality. Meltdown Entertainment is a recognized specialist in our field, and we consistently demonstrate our expertise. We offer high quality results that are designed to meet the specific goals and target markets of each individual client. At Meltdown Entertainment, we understand that choosing the right company for your project is a difficult and important decision. It is our mission to always help you meet and exceed your goals and to develop a long term partnership with each and every customer. 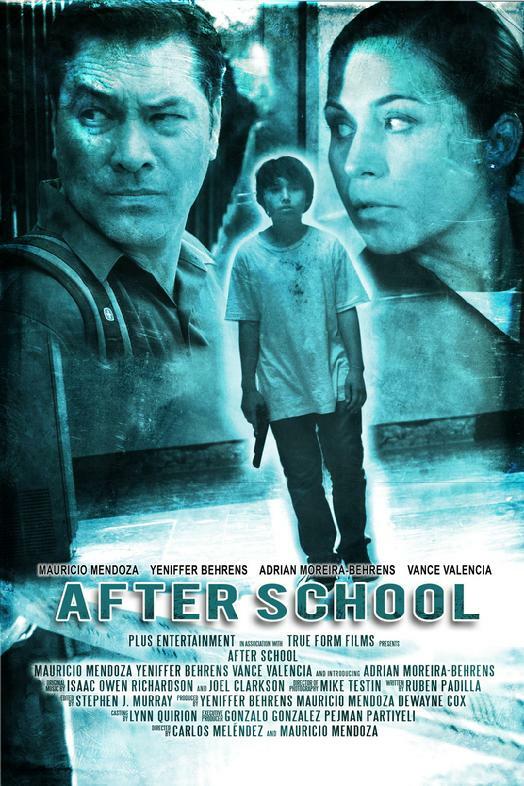 AFTER SCHOOL - is a feature film that brings the story of a troubled young boy with a terrifying secret. He is forced to take matters into his own hands, it's up to a former teacher to try to help him and to diffuse an explosive situation. Meanwhile, a tough police officer fights desperately to save his life! THE REAL FACES OF DIALYSIS is a short film clip that we created specifically to show to lawmakers, in an effort to change minds and stop the proposed 10% Medicare cuts to End Stage Renal Disease patient care. The goal is to show them that we were NOT just data and numbers on a spreadsheet... Those numbers represent REAL people and their families... There are lives at stake and families that would be destroyed by these severe cuts in care. Therefore, we felt that we needed to demonstrate that many good people would be adversely affected by their decisions. So we made a short film featuring real dialysis patients and their pain and fears. Each story was more powerful than the last and now we realized that we needed to make it into a full length documentary, which we have begun filming. Create Option C - My Journey With Cancer is a feature documentary of actress Lourdes Colon's battle with cancer. This film has already been awarded BEST FEATURE DOCUMENTARY in several international film festivals.